Why does this awful Ghost Town has a damn high rotation-rate (or what should i call it)? Today i haven't played at least on half of the maps, but i played on ghost town 6 or 7 times so far. In my opinion it's one of the worst maps, and i hate playing on it. Does any of you have this kind of experience with this map? Edited by Dr_Blackshark, 13 April 2019 - 01:14 PM. I kinda like it. Could be at least partly due to the visuals, the ambience, of it. Edited by satakuua, 13 April 2019 - 01:27 PM. I'm not it's greatest fan but, meh, it's ok. I usually get it once every 2-3 hours so not unusually often. Edited by Del059, 13 April 2019 - 01:38 PM. I correct my question. I meant to ask if you encountered this higher rotation rate than any other maps in the game. Its a pretty decent map for me too. No, not at all. Map rotation is pretty normal for me. In which case, no, I’ve only played this map once in the last week. Ghost town, and many other maps, are terrible because WG have started forcing us to pay to skip them. So in many ways, the players are paying for the developer's incompetence. The sad thing is, a large part of the playerbase thinks that this is perfectly fine. Rotation of maps changes every ones in while. Couple of weeks before there was so much Airfield that i decided to stop playing all together. But current rotation rocks imo. Yes, you're not mistaken. Also a lot of open maps, which is pog. You might find it not so awful after all or at least you can get the most out of it! Edited by XxKuzkina_MatxX, 13 April 2019 - 03:45 PM. This map seems pretty interesting if there is no artillery on it. Once artillery appears, half of the map becomes a no go zone. An especially those positions on a hill which are the positions you should take. It was a "meh" map. Then they did flat the 0 lane and it became... interesting. But if you hate it that much, or see it too often. Next patch you can blacklist it for 4 hours, and you won't see it at all. Edited by Balc0ra, 13 April 2019 - 06:45 PM. Pretty decent map for me so far. It is simply located somewhere around the Aral Sea, or so I'd wager. Yeah, news article on rykoszet.info confirms it being located in Kazakhstan. Do you remember the map of Ghost Town, which previously served as the arena of battles in different game modes and during tournaments? In version 1.4, the ghost town map will change significantly and will get a whole new life as a map for random battles. Behind this map is a legend. It is a battlefield for a proud warrior from Kazakhstan, who was forced to leave his home forever and fight for freedom and peace for his relatives. 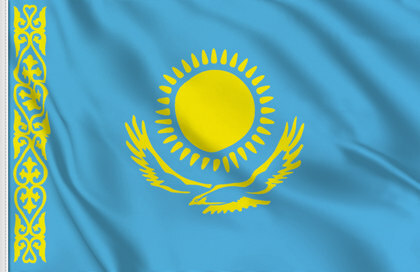 His path goes through the Kazakh steppes and deserts and leads him to the Ghost Town, where he will face the opponents. The stakes are high and the victory will not be easy. Exactly in this mood, we created a soundtrack for this map. We tried to include in it a whole range of deep feelings related to this heroic legend. Just listen to this amazing music, it's really captivating! Edited by Nishi_Kinuyo, 13 April 2019 - 10:44 PM. European Community → English Speaking Community → Forum → Game Discussion → Gameplay → map repeats are DULL !